Today we continue with Jesús Morentin, from BUNKERTYPE! At the Design Schools you teach, what do your students contribute? Students always contribute something. It constantly enriches you, as when they correctly solve a problem so as when the do not succeed. On the first case, learning is implied. On the second one is not so obvious, although it might be stronger. For a professor, it’s quite easy to distinguish among what is well solved and built and what is not. Translate it in a reasonable and argued way for a student to be accepted is not so simple. This issue might be quite demanding, due to you may be throwing hours of effort and study away, the student won’t give up easily (you have to understand that their obstinacy is almost a must). Gaining their trust while you’re arguing about their work is a reiterative process and quite demanding which, at the end, enriches you. I really like teaching, however, I sometimes collide with student’s motivation, which has nothing to with your teaching motivation. In your case, do your students transmit their personal motivations to their work? Do they have any external motivation? I think that the lack of motivation you mentioned is one of the main problems that teachers must daily deal with. I have to admit that it’s something I haven’t been able to solve yet: is our commitment to supply this external drive or if it’s something that the student should include. I tend to think it should be the second option, however, due to the current picture, the social and economic context students and future professionals have ahead (and being aware of it), you cannot be so demanding with them. At the end, I try to do my best in the classroom by transmitting my passion to my profession… If by doing so I get to give them strength, it’d be perfect. If I don’t, you detach yourself from it and trust in your next lesson as a better one. 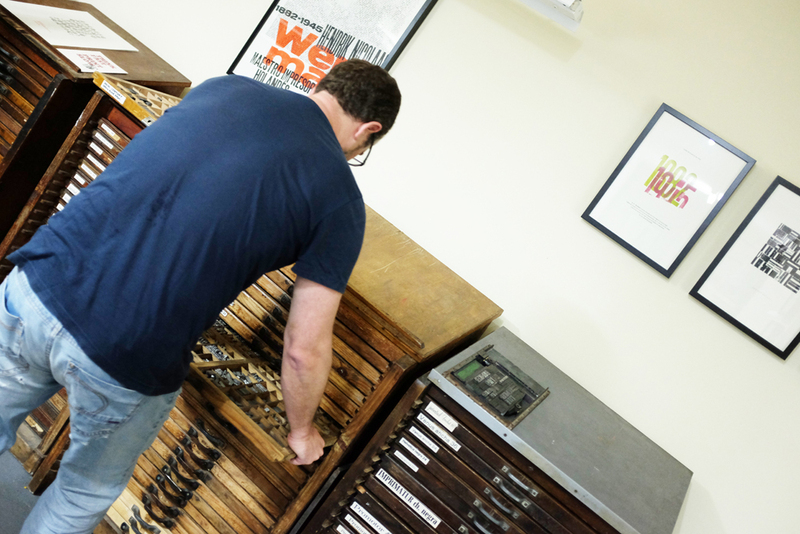 Do your students take part in your letterpress work as BunkerType? 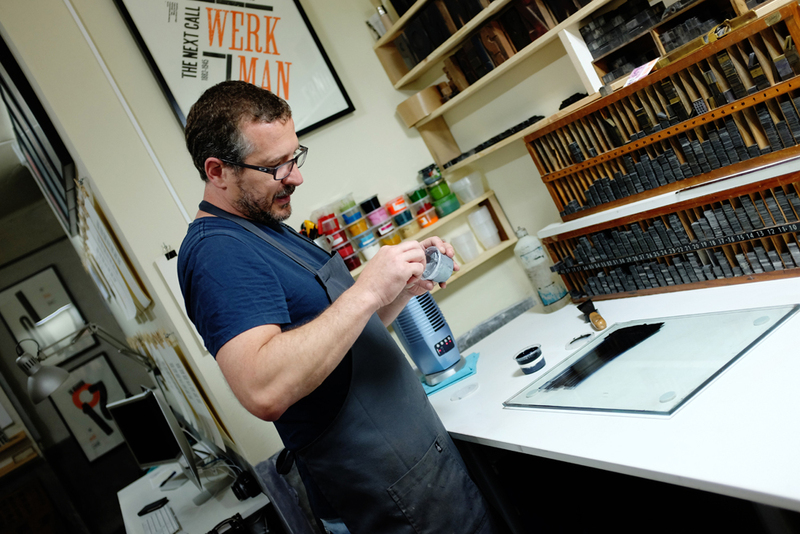 I’d love that schools could have letterpress workshops. 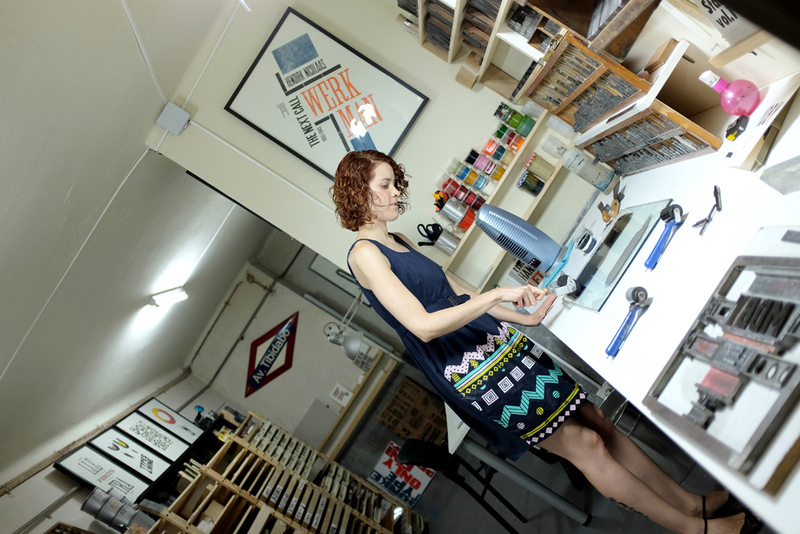 In fact, the most significant Design Schools in Europe own their letterpress spaces, but the truth is that in our country they’re rather unknown or useless. Every time I have the chance, at least I try to make one visit to my workshop; however, the difficulty of the process and the student’s ratio don’t help… Anyway, I try to include as many letterpress material as I’m able (basically it means how big my backpack is), which always help me to explain some issues, as analogical mechanisms are way more explanatory than any digital process. From a pedagogical point of view, it’s a useful resource not only by its loquacity, but its power of attraction onto students. 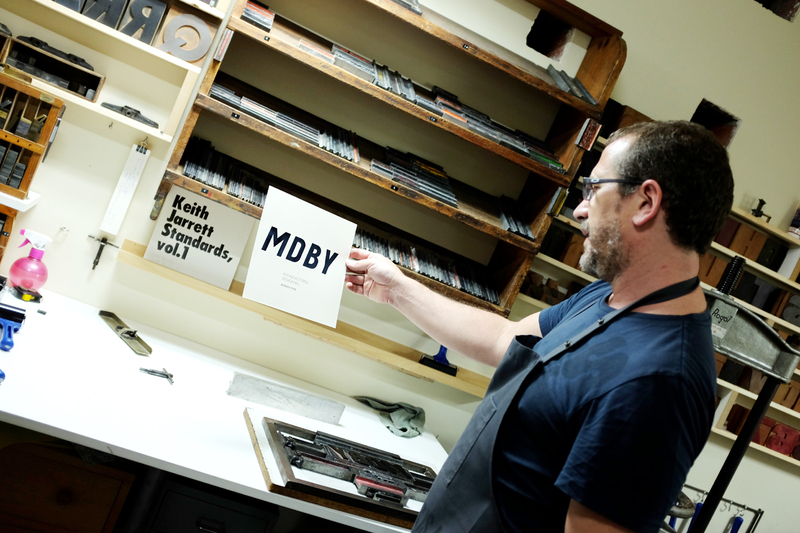 Which is the hardest aspect of manual printing? I would say that changing your mind in regards with the process. Being able to understand that the trial/error system doesn’t work: build a text using 24 pt Bodoni font can take an hour. Adding it to a mould and test it, just ten minutes. To realise that you need a smaller letter block, just a couple of seconds. Removing it and repeating the process with a smaller letter block, could take another hour and a half. In other words, you might need a hole morning to do something that only would take a cmd+z action on your computer. Which aspect do you like most? I enjoy all the process, although the most satisfying aspect could be the removal action. Anyway, if I had to headlight only one moment, I’d say that, at some occasions, the instant you lift the paper up after your first print session might be magical. 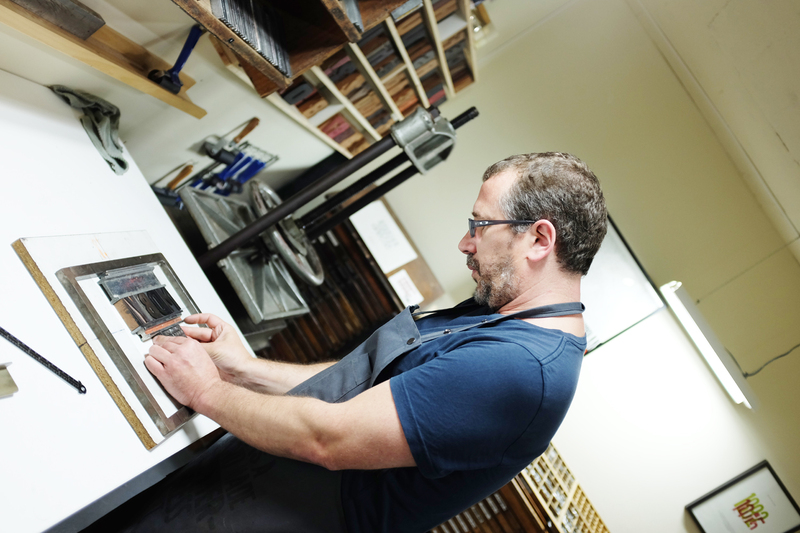 How do you see your print shop in 5 years from now? I’ve just expanded my workshop and I had had to move all my stuff from one place to another, so I’d rather not to image many changes like this! Furthermore, I’m really glad with all the growth of BunkerType, keeping like this would be enough, although… I must say that my challenge is to show my work outside Spain. If I had to think about any improvement, would be this one! Is there something you regret professionally speaking? We always do things that we can regret. It’s a fact. I’ve tried to learn from all my mistakes, and luckily none of them has been fatal, so… what is done, is done! 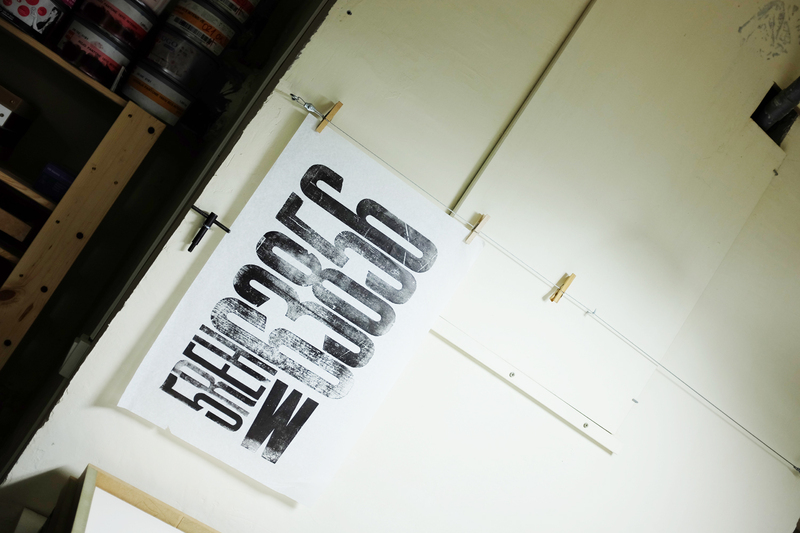 From all the things you’ve learnt about printing, what would you headlight and share? Gutenberg’s mobile printing invention really shocked me. We often fall in the mistake of establishing ties between famous historical characters and their success, as we relate them with their inventions and discoveries. Although, we hardly ever get to know the process that they went through to get their achievements or how these ones influenced their lives. 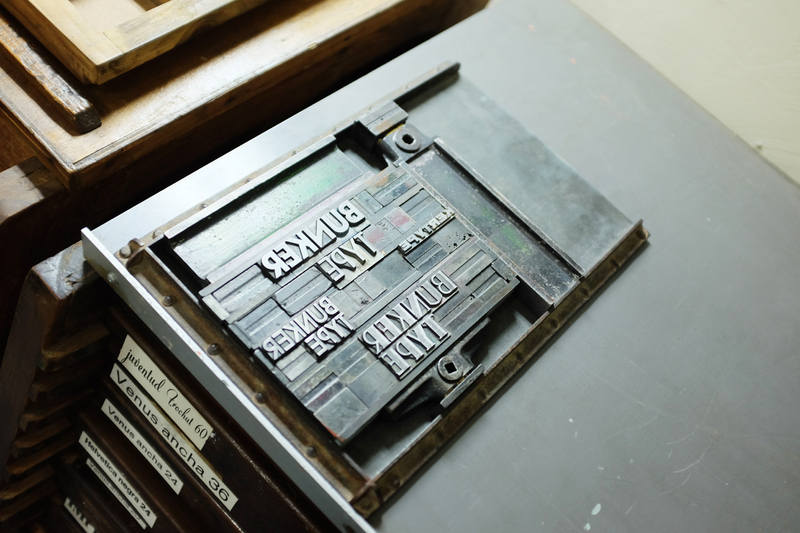 Gutenberg’s invention radically changed our history, without it, social and cultural changes would hardly ever have been possible centuries later. However, his career was surrounded by lacks of understanding and misfortunes which he could only save by being tenant and by knowing his transcendence. Suffice it to say that the whole process started at 1440 and lasted about 15 years, which is really well informed by the numerous trials he had to deal with and that ended up by confiscating his workshops and famous Bibles. 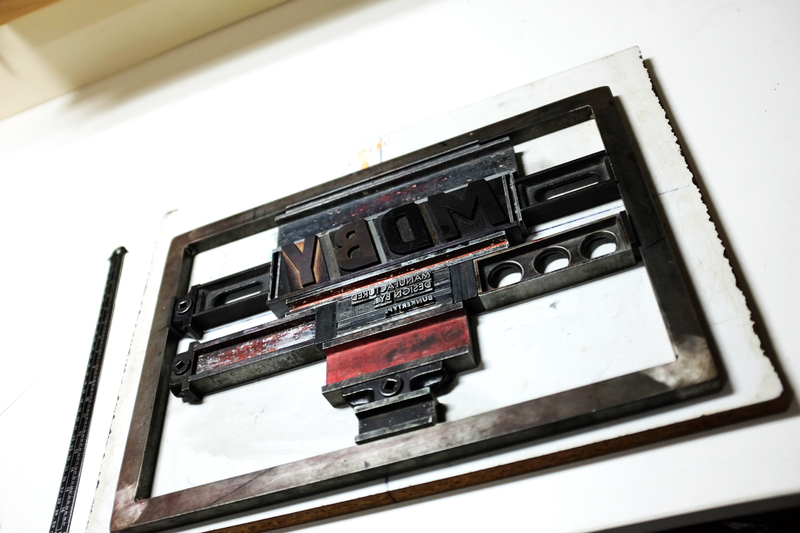 gave us the guidelines on which we assembled our first typographical mould; it was really fun and exciting when we saw the result. It’s curious, due to we constantly do it on our computers and without giving any value at all. The manual process makes you think about what you really want to show or to say. I completely understand that this can be Jesus’ passion. It was great!! 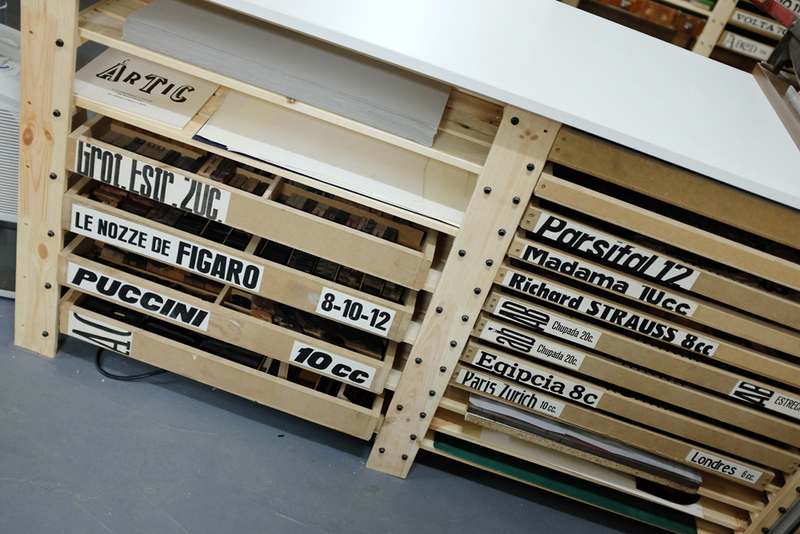 You have ti try it making a workshop at his studio!